In 1951, our founder's mother got married wearing gloves exactly like this. She saved them, perhaps knowing that her son would be in the glove business. We had them copied by the fine Italian artisans at Fratelli Orsini and now we are pleased to offer this renewed version of the classic white leather wedding glove. 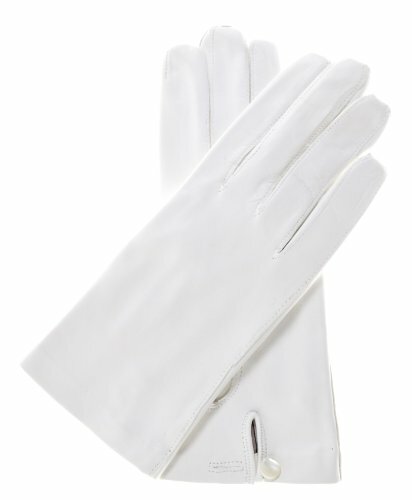 These beautiful white leather gloves are sure to be a keepsake, with beautiful white leather, a pure white 100% silk lining, and a mother of pearl button at the wrist - perfect details for your perfect day. Made in Italy by Fratelli Orsini. SIZING HINT: These gloves run true to size.